These days, having either a uniform look or an assorted deck color scheme is A-OK. Dark or soft shades of browns or grays, paired with matching or contrasting rails, topped-off with the glow of nighttime lights generate one-of-a-kind designs. 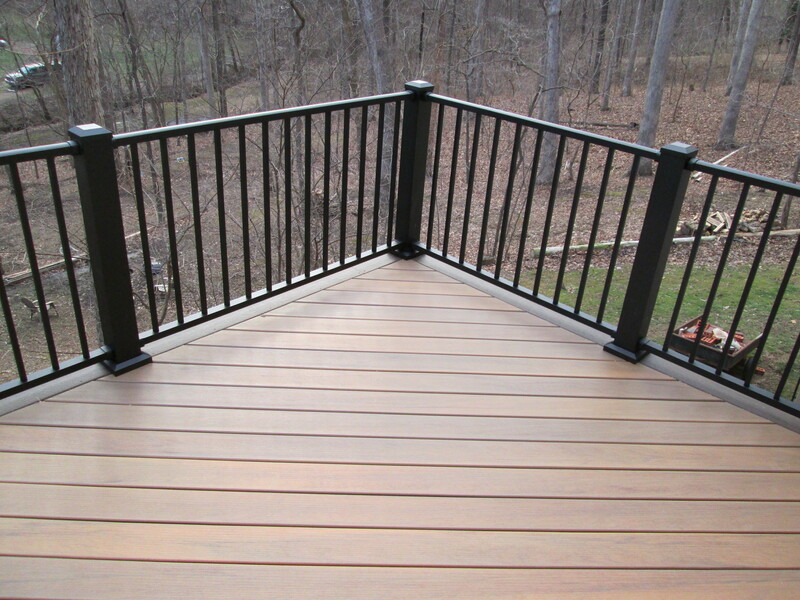 And when choosing a color for a deck, think of not only what you ‘like’ in glossy magazines or on Pinterest, think about blending your deck with the interior and exterior of your residence. If you have hardwood floors, oftentimes natural wood or a composite look-alike is a sure-fire way to bring dominant (and prominent) colors from indoors to your outdoor environment. 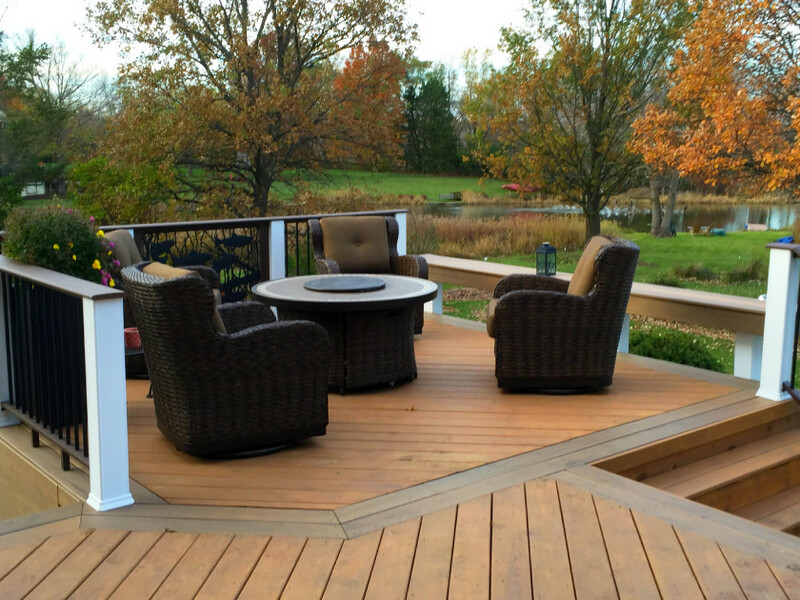 After picking a wood deck, many homeowners opt for a clear stain with an organic appearance to subtly emulate their wood floors. In this scenario, similar hues will calmly drift outward from within. Or you can alter the color just-a-bit with a light, semi-transparent stain. How about a stark color modification? Try a heavy stain which not only protects the wood from sun exposure, it provides extra color options to coordinate with indoor floors including tints or shades from your carpet or tile. Another strategy is to take color-cues from the exterior of your home. 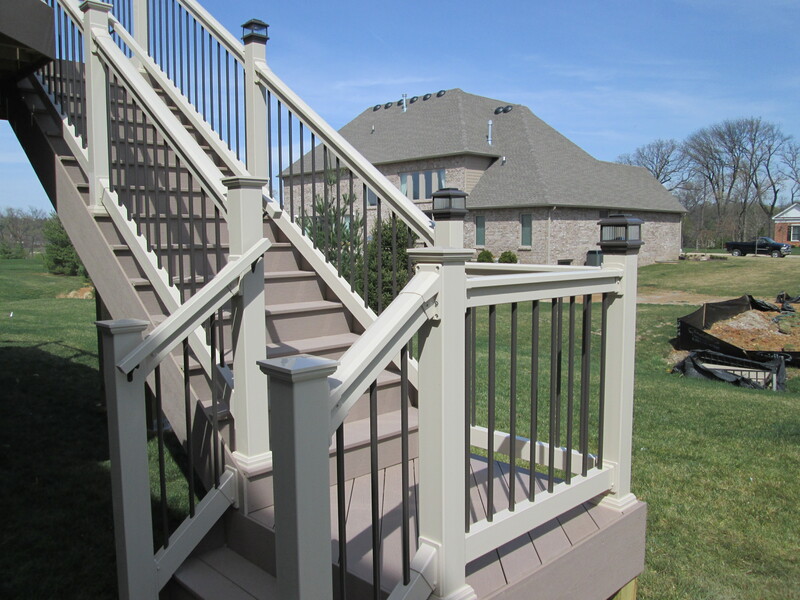 You could closely match or blend the deck floor with external colors from your house such as the paint, siding, brick, stone, stucco or a mix. Colors from window trim, doors, roofing or even guttering serve as a good guideline for rails, balusters, post caps/covers, underdecking and skirting too. You get the idea. 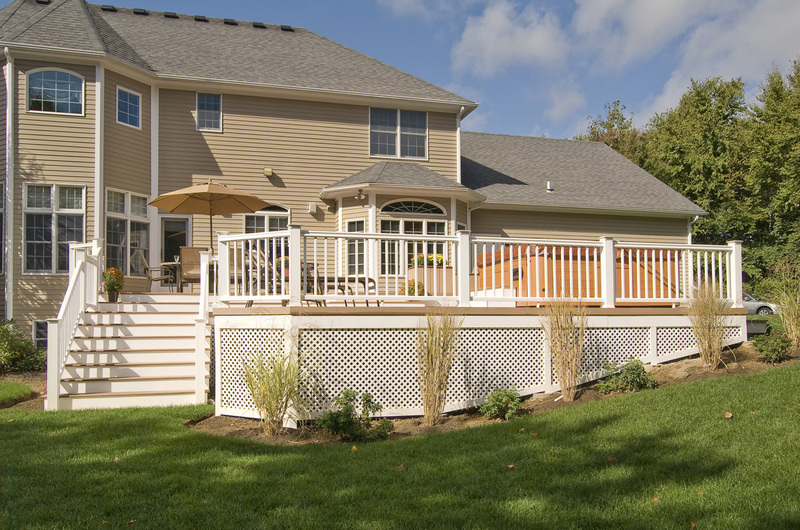 Use color to showcase your own style while blending your deck’s design with color-suggestions taken from either the inside or outside of your home… or both. What looks best? 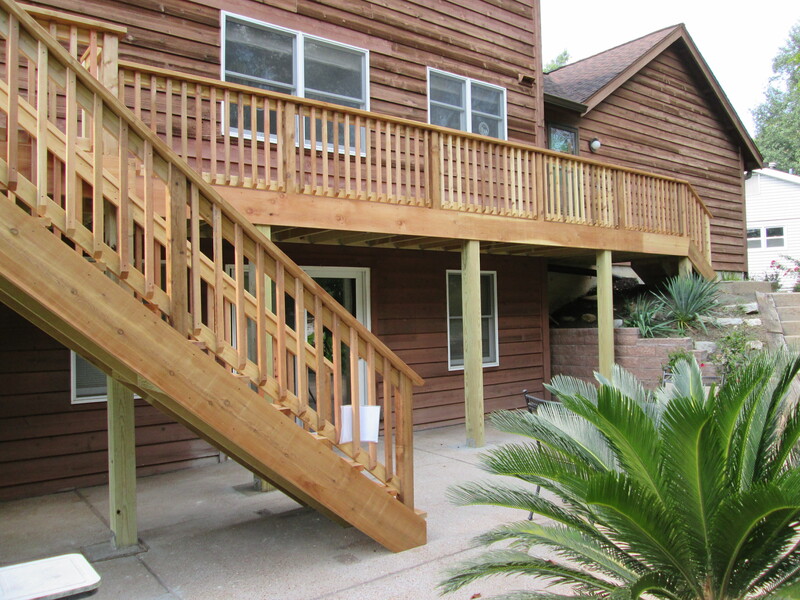 A deck that matches the color of your house or a deck that’s designed with different colors? There’s no right answer. We think it’s up to you. When your outdoor space is immediately adjacent to your house, choose an identical (or comparable color) to pull-it-all-together. If your outdoor space is away from your home, look to the landscape for inspiration. For a style that’s free-of-fuss and completely cohesive, stick to just one color. 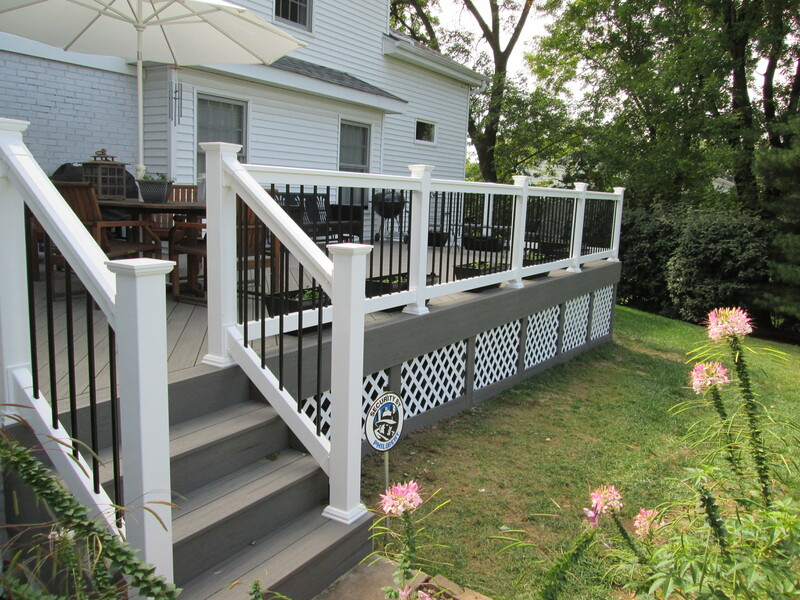 For variety, use dissimilar materials and accessories; incorporate a color change in the board pattern, rails, balusters etc. When sticking to a palette of similar colors, use tone and texture to jazz-up the project. Bottom line, your outdoor living space should extend your home’s interior colors outdoors and echo the exterior colors as well. Work with soft and subtle shades, bold and dramatic hues, or combine ‘light and white’ to achieve the look you want… sophisticated, elegant, casual, contemporary, rustic or eclectic. 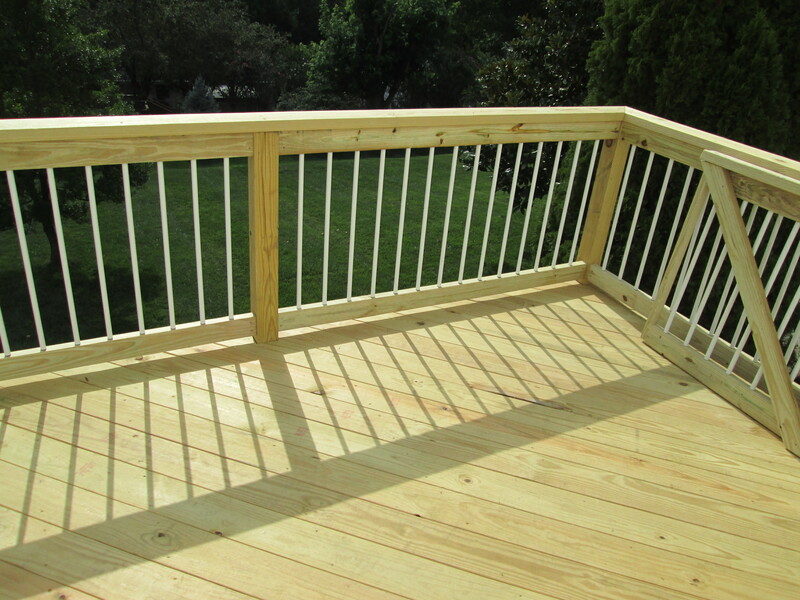 With today’s decking options, anything can happen! 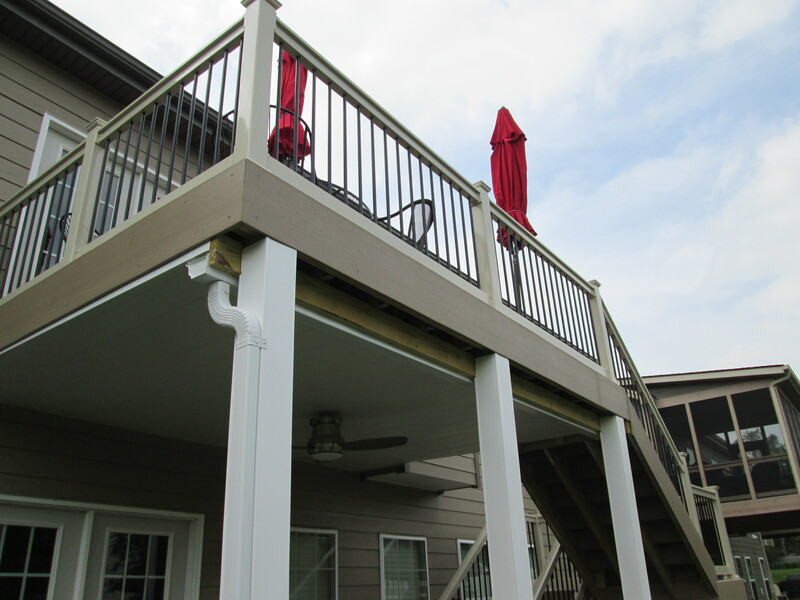 To discover more ideas and color-concepts for decks and other outdoor spaces, just visit our St. Louis website, west-county.archadeck.com. You’ll find photo galleries, a contact page with our ‘How can we help?’ online inquiry form, videos and a free download for Archadeck’s design guide. If you live in St. Louis Missouri — or nearby areas — our office is in St. Louis West County and we’re locally owned and operated. We know St. Louis… we live here and work here too! We’ll happily answer your questions and meet with you, anytime. Just call us at 636.227.0800. Live outside of St. Louis? Then go to archadeck.com to find an Archadeck owner near you. Design Guide Cover by Matthew Victor, Archadeck of West County Intern. Reach Matt by email at mtvictor00@gmail.com. Matt completed a Bachelor’s degree in Information Systems Management from the University of Missouri in St. Louis and is currently completing a second degree in Graphic Design.